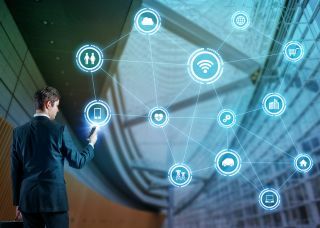 Service providers believe they are not transforming fast enough to meet the demands of today’s digital era, a new survey for Amdocs conducted analyst firm IDC reveals. According to the survey, 50% of C-level and other service provider decision makers predict that it will take their companies more than five years to transform. According to the survey, 46% of service providers still do not have a digital strategy in place. While 89% of respondents highlight the importance of having a chief digital officer (CDO) to lead and drive such a strategy, only 28% have one. Furthermore, 79% of the industry is still executing digital transformation projects as stand-alone initiatives without alignment to a broader technology roadmap or business strategy. A lack of clear strategy, together with low digital channel adoption rates and multi-vendor systems environments, are equally seen as the three biggest obstacles to digital transformation, either in terms of slowing down a project, or completely derailing it. Sixty-nine percent of respondents believe that the communications industry has strong technology capabilities, but will find it difficult to implement and bring to market digital transformation projects quickly enough. When asked what factor would most help their companies transform into digital service providers, having the right skills to create and implement digital transformation strategies were ranked first and second; the use of customer experience as a design principle for new products and services was the third most helpful factor. All of these were well ahead of having the necessary financial capital, which ranked sixth, together with need for greater cross-unit functionality and collaboration. To deploy new digital capabilities and accelerate the pace of digital transformation, service providers are looking to share the challenge with partners, the study suggests. In the next 12 months, 41% of respondents say they will invest in managed services as part of their transformation in order to enable solutions for new areas. In general, IT services vendors are ranked as the most valuable partners for the execution of digital transformation projects, ahead of specialist digital consultants (second) and systems integrators (fourth). Network equipment vendors and strategy consultants came in a distant eighth and ninth place, respectively. These findings suggest service providers are looking for partners who can deliver a wide range of expertise. Further supporting this, research found that a broad, best-of-suite solutions portfolio covering the IT stack is seen as the second most important criteria in partner selection, after a global delivery model. According to the study, business agility and the ability to deliver a seamless customer experience across channels are the first and third most critical capabilities for service providers’ survival in the digital age, the second being the ability to attract the best talent with new digital skills. Providing an omni-channel experience across services also ranked as third in terms of service providers’ digital transformation business priorities in the next 12 months together with improving customer experience (53% of respondents), after increasing business agility (65%) and increasing revenue from existing services and products (62%). “The majority of service providers today are actively working to deploy digital technologies to improve their businesses, but this is happening without a unifying top-level vision and strategy. They are also telling us they are struggling to re-align processes and re-train staff at the same time, further delaying real business outcomes,” said Andy Hicks, research director, Telecoms and Networking, EMEA at IDC. “Digital transformation is a critical enabler for capturing digital age opportunities and delivering The New World of Customer Experience. As digital transformation is made up of multiple projects and initiatives, it’s clear from this research that companies fear timelines are slipping, and that they have serious concerns as to whether they have enough strategic focus and digital skills to transform fast enough,” said Eric Updyke, group president of System Integration and Operations at Amdocs. The study surveyed decision makers at 81 service providers operating in Asia Pacific (26%), Europe (25%), Latin America (23%) and North America (26%). Nearly half of the respondents (46%) hold C-level roles. The IDC study for Amdocs was conducted between December 2015 and January 2016.